If you are planning to visit Rajasthan and specifically Jaipur, you can't miss visiting Chokhi Dhani. There are multiple reasons behind this statement. 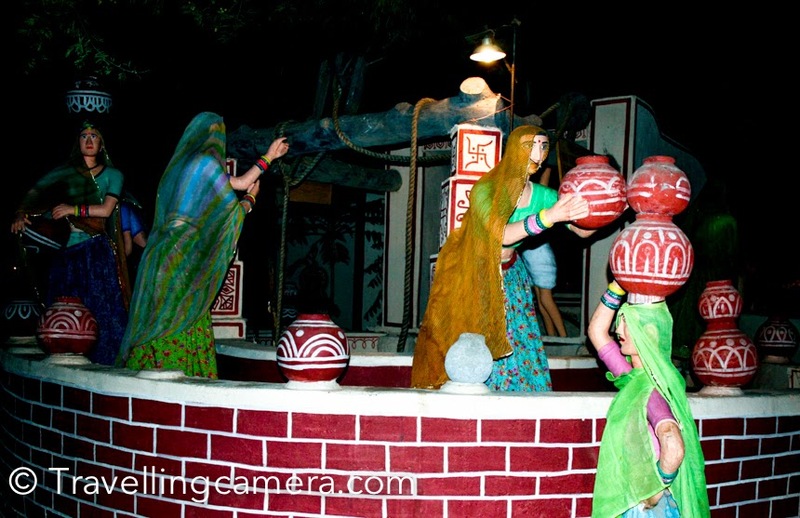 Today we will share about a very interesting place in Jaipur which offers a great experience with Rajasthani Culture, Music and Food, apart of lot of exciting things to kids, youngsters & all family members. 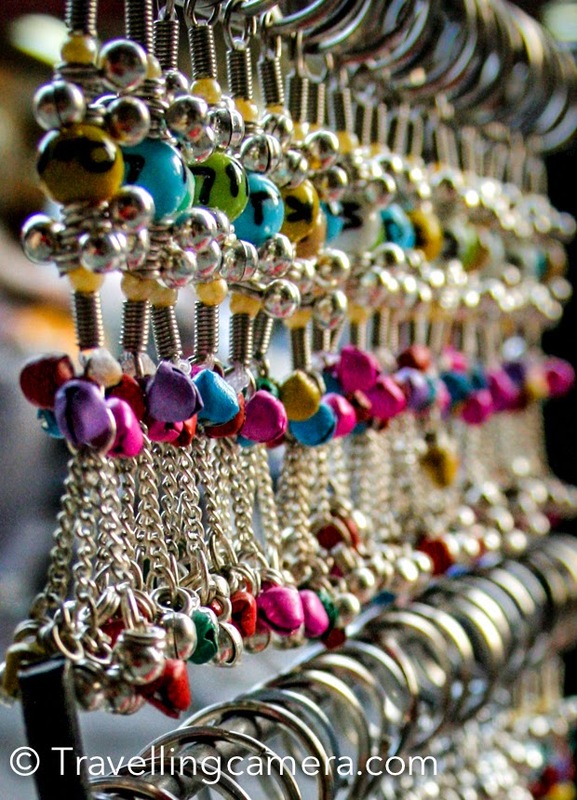 Let's check out this PHOTO JOURNEY to know more about Chokhi Dhani and why it's a must explore place in Jaipur town. Chokhi Dhani is a huge sized setup which looks like a small village having different houses, villagers busy in various activities, lot of hustle bustle and lot more. At the same time, the place encourages you to lot of things. 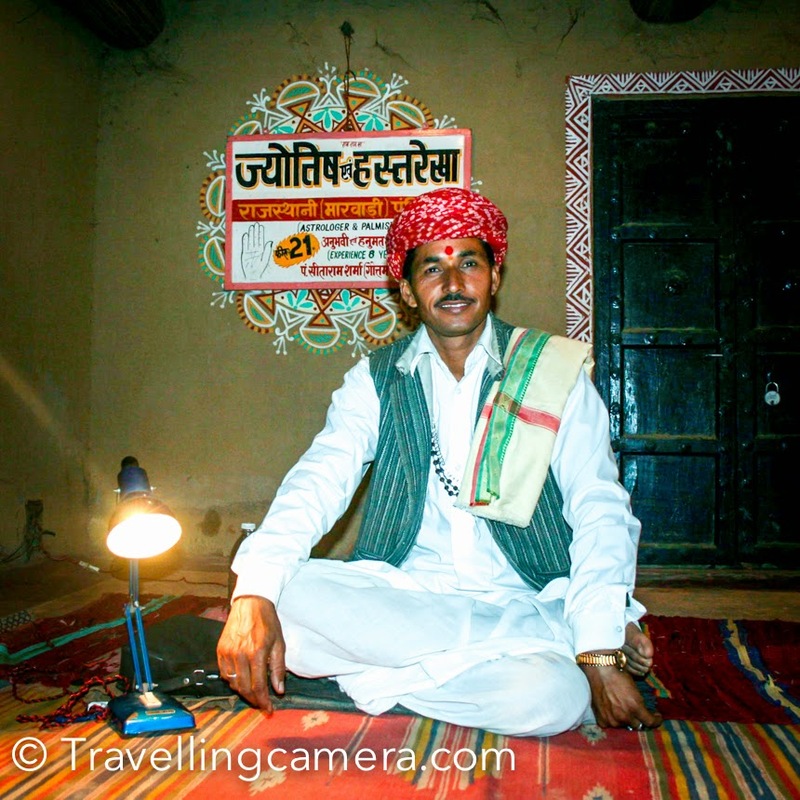 An astrologer around one of the corners of the villager and dance performances on other side. Suddenly you start feeling like in a fair with various activities happening all around. 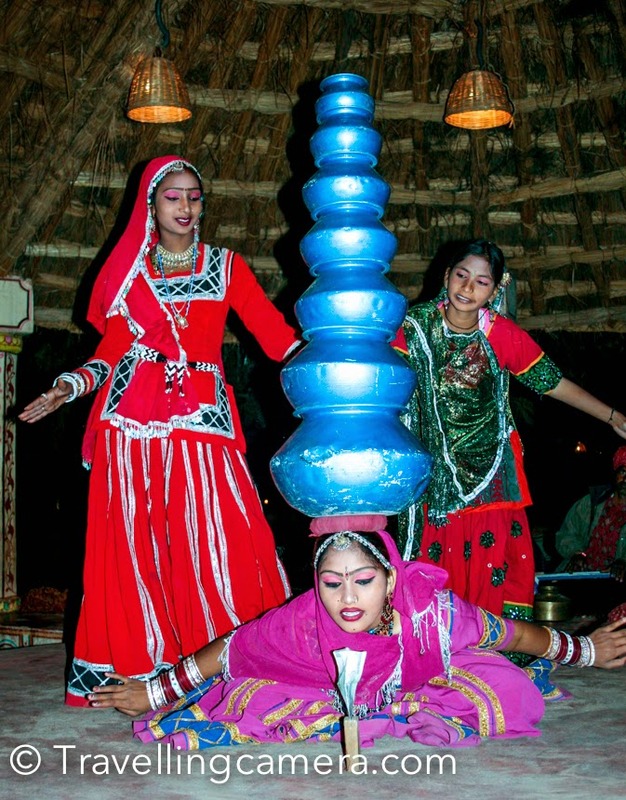 Chokhi Dhani is the place to experience Rajasthani folk music and dance forms. Generally it's difficult to experience some of the folks art forms, while Chokhi Dhani brings such experiences in brilliant way. Now Chokhi Dhani has become a big group and opened these villages in different parts of the country. Kids really love visiting this place because there are lot of games and rides for kids to enjoy. These photographs don't even tell the 10% story of this place. Apart from what you see in these photographs, there are lot many other activities that keep happening at Chokhi Dhani. 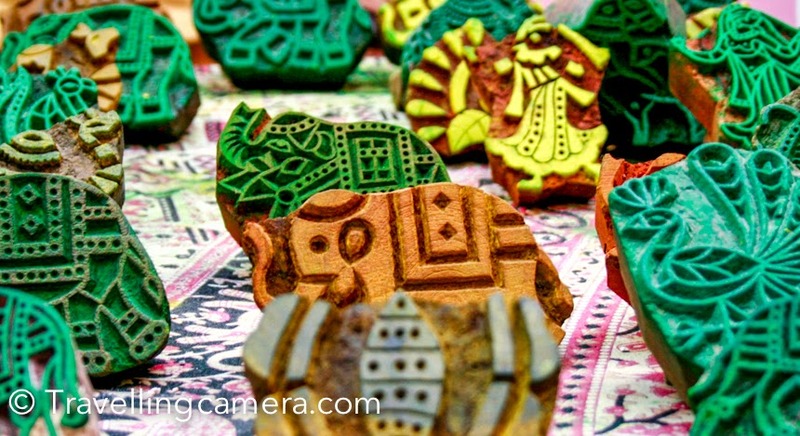 This includes lot of games which are usually seen in almost every Indian Mela. Food at Chokhi Dhani is awesome and they believe in feeding you so much that it will take lot of effort to get up and go back to your rooms. But best sleep is assured after the wonderful meal at Chokhi Dhani. 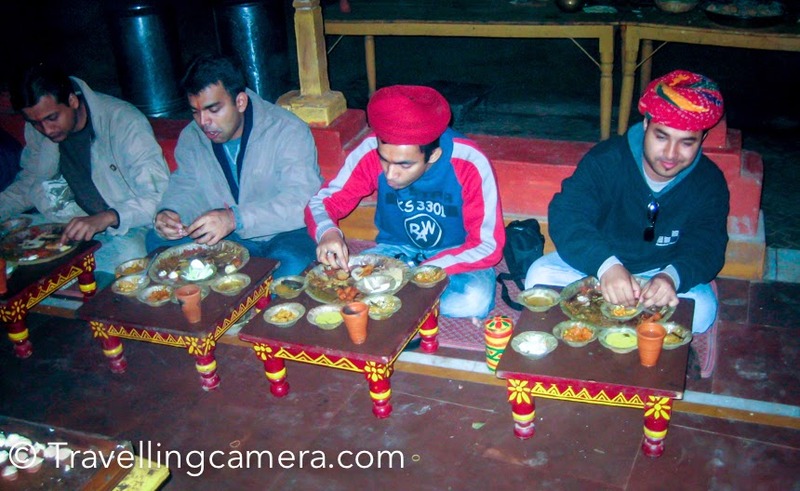 They serve most of the Rajasthani delicacies cooked by professional cooks. It's a heaven for folks who love Rajasthani food including Dal, bhati, choorma, bajre ki roti with lot of desi ghee :) and lot more. 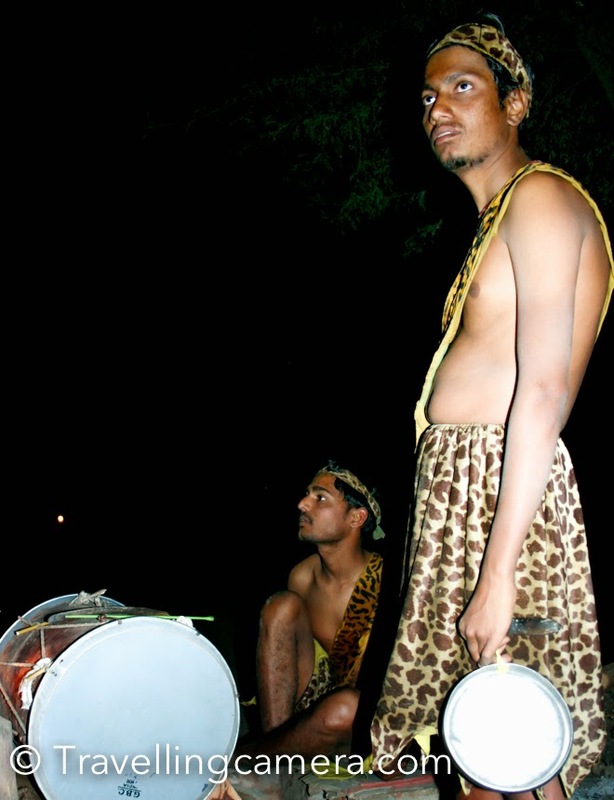 To know more about Chokhi Dhani, check out our old post.